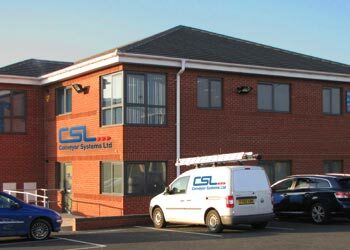 As part of strategic plans, CSL announce the appointment of Jim Farquhar as Sales Manager to join our rapidly expanding company. News, events and product information. 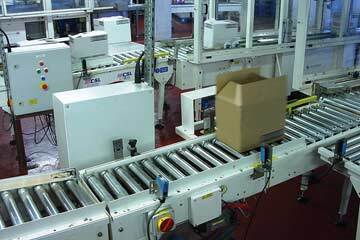 A leading multi-national pharmaceutical company who had previously worked with CSL, awarded them a contract to design and build an inspection and packaging belt conveyor. 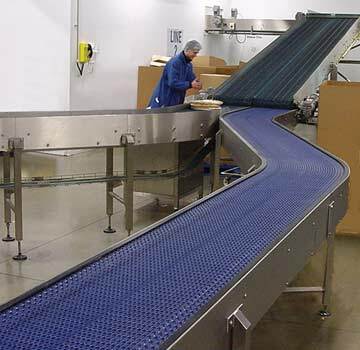 A leading producer and distributor of fresh chilled foods invited a number of companies to tender for the design, manufacture, supply and installation of a new product handling system that would transfer individual or stacked pizza film wrapped bases between high and low care food quality areas. 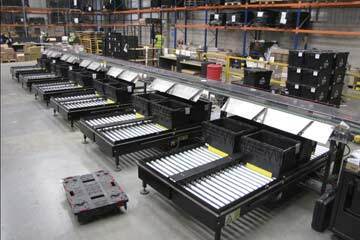 CeDo - the leading European manufacturer and supplier of polyethylene and aluminium disposable household branded products, recently appointed Conveyor Systems to design and supply a 'Goods Inwards' centre for unloading boxed goods from 20 - 40 ft vehicle containers to its Telford plant. 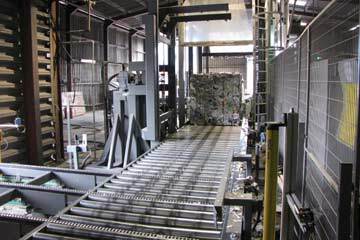 One of UK's fastest-growing waste management companies specialising in recycling waste paper collection and processing, recently appointed Conveyor Systems to design and install a handle system to transport and reject under/oversized large bales of paper prior to entering a stretch hooding machine. As Europe's leading heating technology manufacturer, Vaillant returned to CSL to re-configure and relocate one of three existing CSL packaging conveyor lines, modifying PLC software to handle a new product introduced to the range. Featuring news, events and product information. 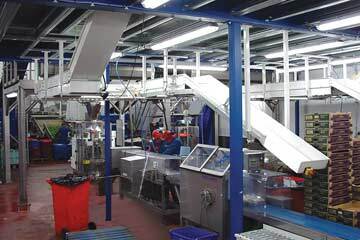 Working closely with main contractors Advanced Labelling Systems at Georgia Pacific, CSL provided a simple but effective conveying system that singulated and accurately presented packs of shrink wrapped paper rolls in a stretch film outer to their labelling equipment. With the demand for specialist bakery products expanding in both the UK and Europe, CSL was called upon to design an end of line conveying system for the packaging of various sized bags of bagels into cartons and plastic supermarket trays. 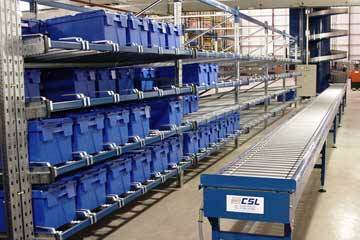 Conveyor Systems won the contract to design and supply a handling system to transport stacks of plastic tote trays through an automatic security wrapping system. 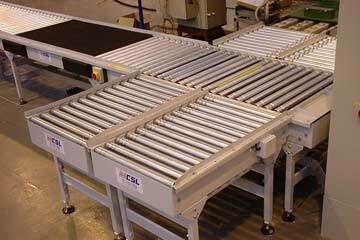 After receiving several tenders, a leading producer and distributor of fresh chilled foods, awarded CSL the contract to design, supply and install a new conveyor system to transfer individual or stacked, pizza film wrapped bases from first floor level down to ground floor. 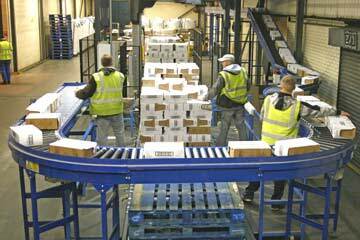 CSL successfully completed the consolidation of order picking operations at the Universal Music Group distribution centre at Kingston, Milton Keynes, to supply CD's, videos, DVD's, cassettes and vinyl to some 2,500 live customers, including record shops and group distribution centres. flamingo holdings Part of the international group Flamingo Holdings, involved in the growing, processing, packaging and marketing of cut flowers - Flower Plus in Spalding takes delivery of fresh flowers from Europe and Africa, and distributes them to florist and supermarkets throughout the UK.